It’s estimated that there are over 6,500 native food species in Australia – how many have you tried? You’ll probably get a chance to sample more, with the popularity of indigenous foods making it likely more will appear in restaurant menus and supermarkets in the future. 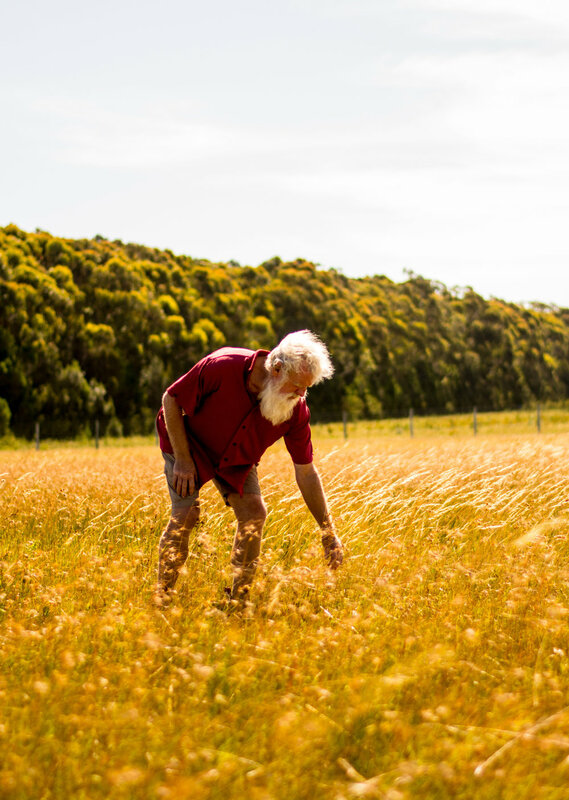 “It started as a bit of a gimmick, with lemon myrtle and bush tomato and that sort of thing,” says Bruce Pascoe, author of Dark Emu: Black Seeds, about the spark of interest in native foods. Social enterprise restaurant Charcoal Lane, located on Fitzroy’s Gertrude Street, focuses its menu specifically on native Australian food. “By serving wild culled kangaroo with some foraged Warrigal Greens and native thyme, we can serve a meal which is organic, sustainably grown and has relatively low food miles,” says restaurant manager Nick Temple. Charcoal Lane’s staff are predominantly made up of vulnerable young people, many of whom are Aboriginal. “We hope to educate our guests in the native game, fruits, herbs and spices of Australia, while also opening the door to learning about Aboriginal culture,” Nick says. “But coming to Australia, I didn't feel confident approaching indigenous foods and culture at first, because I didn't know anything about them,” Ben says. After a conversation with a quandong farmer got him thinking about other native Australian ingredients he could use, Ben started educating himself and reached out to others as well. “In the last four years Bruce has been a major inspiration and source of knowledge for me, and our friendship has been really important in meeting other Indigenous Australians who are experts in their fields,” Ben says. "You can't eat our food if you can't swallow our history." And it’s expected to be a bounty, with indigenous Australian foods increasing in popularity both here and overseas. Yet this interest is putting incredible demands on resources, says Bruce. “Some of these foods were domesticated to cater for a relatively small population,” he says. Bruce holds this hope despite saying the government and big corporations “talk big but no one delivers”. At the consumer level, supporting restaurants and suppliers who are ethically sourcing their ingredients and celebrating indigenous culture is a good starting point.